Hospitals across the country, face reductions in disproportionate share payments–commonly called DSH payments–over the course of the Affordable Care Act implementation. Beginning in 1985, COBRA legislation created payments that have compensated hospitals for treating a larger share of low income and uninsured patients. The Patient Protection and Affordable Care Act imposed reductions to these payments, but a few glitches have drawn red flags in hospital financing. The Federal government reduced the amount of DSH paymenst since the implementation of the Affordable Care Act. One major goal of the Affordable Care Act was to reduce the number of uninsured Americans. Thus, Congress felt that reducing DSH payments over time was acceptable, so Congress reduced DSH payments from fiscal year 2014 to 2019 by a total of $22.1 Billion. In theory this makes perfect sense–hospitals will see less uninsured patients and low income individuals because more Americans will be insured, and Medicaid will be expanded in all 50 States. Then the Supreme Court issued a ruling empowering governors all across the country. Now, State Governors have the choice to expand medicaid without the threat of losing current Federal funding. Because of this ruling, many states in opposition to “Obamacare” decided not to expand Medicaid; this move created a coverage gap for low income individuals and families. A coverage gap is where an individual earns too much money to be eligible for Medicaid in their state, but not enough to qualify for tax credits to reduce premium payments through The Health Insurance Marketplace. In the 20 States that did not elect to expand Medicaid, Individuals and Families who fall in this gap find few alternatives for health coverage. Calculating DSH payments can be difficult. These individuals, unfortunately, are also the same individuals for which the hospitals receive DSH payments for treating. A vicious cycle of reduced reimbursements and failed public health program expansions ensues. The DSH payments themselves are calculated by a number of dependent variables–even varying by criteria such as where a hospital is located and by the number of beds. In 2015 total DSH payments came out to over $11 Billion. New York, Texas and California combined for $3.9 Billion of the country’s payments in 2015. 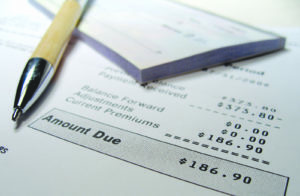 Calculating which hospitals receive DSH payments can be complicated. 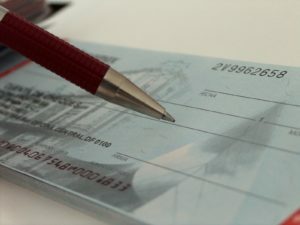 Each hospital applying for the payments must submit financials and bed counts to an independent auditor for submission to the State in which the hospital operates. The real problem is not calculating the DSH payments or submitting an audit; rather, how is the hospital going to treat the people that fall in the coverage gap? Many hospitals have adopted sliding scale payment plans based on income. Many expect to write off hundreds of thousands of dollars of uncompensated care. Due to the widening coverage gaps and decreasing DSH payments, urban and rural hospitals alike must pay close attention to the low income individuals and families that they serve. Effectively evaluating and engaging each individual entering their hospital will become an important part of maintaining or possibly growing reimbursements from public and private payers.